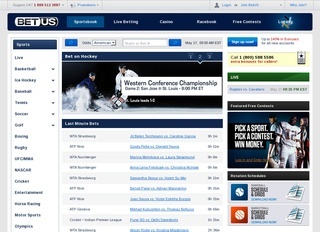 BetUS is one of the brands that gamblers used to trust and put their money on big time. They began working in the field of gambling in 1994 and since then they’ve made a name for themselves. However, in the last few years due to some difficulties BetUs is no more one of the big names in the industry. However, let’s see and analyze the vital statistics and facts about the company. The headquarters of the company is in San Jose, Costa Rica and is under the jurisdiction of the country. At the moment, the online bookie is under investigation from the US and Panama authorities for using bad practices. All of that reflected in an appalling reputation among the clients who are less in number with every single year. 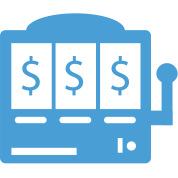 As a whole, the online bookie allows betting mainly on sports popular in the US. Another interesting initiative they have is their calendar where they showgirl models and give information about the girl. They used to do this calendar for over five years. The website of the bookie is well made and clear. Anything that the client needs to find is at two clicks most distance. The website loads fast and has excellent graphics. The number of sports the bookie offers for gambling is huge – over 50. This difference the company from many other online booking houses. Some of the games available to put bets on are football and the whole NFL and NBA alongside soccer and even politics. For all the other sports which the professionals offer, please check the table. Another field where BetUs is famous is the casino and games business. 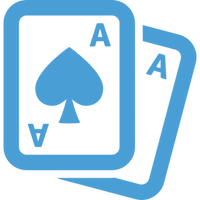 They offer different tournaments in the casino section of their website. Also, blackjack and other games can be found there. Some of the games are poker, video poker, bingo, slots, table games such as roulette and craps. Each client should find his/her sports event and click on it. He/she will see a table where all the odds, teams, and explain live betting options. This is also where the right start of the event and another additional information is. Another interesting option is the link in the name of the team which points the user to a page with statistics and additional information about the team. All of this helps a lot when placing bets as it makes the gambler better informed. Live streaming of the events is not an option which the bookie offers but they provide live coverage of the events. Each player can find it under menu Live where he/she will see the names of the contenders and how the game proceeds. The information is pretty accurate as it refreshes in every 30 seconds. 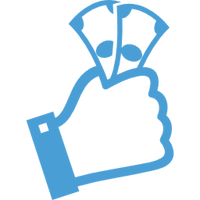 The three odd systems used by the bookie are fractional, American and decimal. All odds are presented. You can pick from the Handicap, Asian Handicap, 1×2, correct score and many others. Each of the odds systems is well explained on the website. Also, on the same page, each client can find described the money line, props, features, and totals. Safety is a primary concern for the company which owns BetUs. That is why they’ve taken all the possible measures to protect the information of each client. This includes SSL encryption of course, but the rules go well beyond that. All customer information and private data is confidential and is not sold to third parties, according to the bookie. That gives peace of mind to anyone ready to spend money with that bookie. However, the scandals around the bookie may stop some people from doing so, as the rumor has it the TC prohibits people from making big money and wins. Being strictly focused on the European and the US market, the bookie does not offer many language options which eventually to help the users and allow them to bet even more. On the contrary, the primary language for the website is English. However, to compensate that the contact options are several which should allow the customers to have an easier connection with the company. They can be reached via phone, live chat, and email. An interesting feature is a bonus for people who call. A few different ways to make deposits and withdraws are available. Credit cards like Visa, MasterCard, American Express and Diner. For the other payment options, you can see the table on the side where all of them are listed. Different from many other bookies which try to work with as many currencies as possible to allow more people to join the betting, BetUs works only with USD. The maximum deposit per month is $5000 no matter the way of deposit. The minimum deposit is $5, and the highest bet which any gambler can make is again $5000. Description of the current bonuses on the deposit for new clients and loyal existing customers. 5% bonus in casino chips. Another way of stimulating the people to play is the social bonus which includes a week with the BetUs girls. The rewards offered are also many like free games, player points, 10% private gambler insurance and different contests which allow winning over $5 000 000 in various prizes. The bonuses in the casino section continue. There also can be seen the VIP program which gives exclusive rights to the players. Also, there are the Monday Morning Quarterback, blackjack Mondays, straight flush three card poker. Also Juicy Tuesday, 6-card Charlie Tuesday, holy craps Wednesday, tuxedo blackjack promo, trifecta Thursdays, blackjack happy hour, Video Poker Thursdays, seven heavens Fridays. And Super Slots Fridays, wide open Saturdays, second chance Sundays, big spinner Sundays and on-the-go Blackjack Sundays.